Hydrophobic cluster analysis revealed two domains which were characterized. Here is an example (not very well focused! ( of domain A). 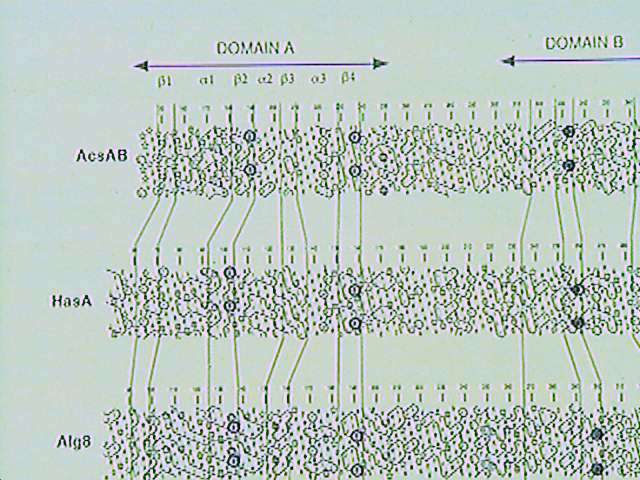 Acetobacter genes, hyaluronate synthase, and alginate synthase genes are compared. All have threecommon sites of glycosylation (encircled) which line up.